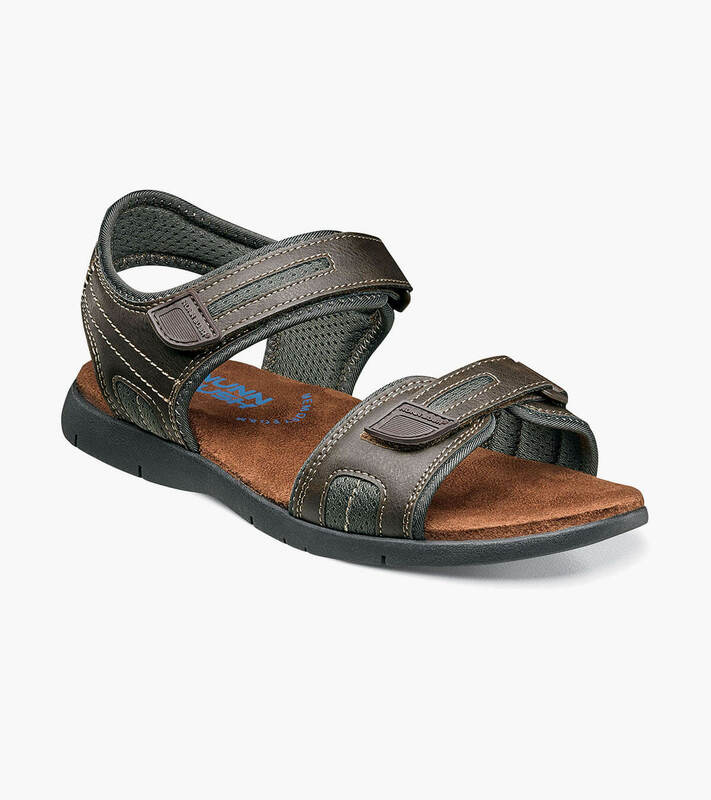 Nunn Bush Men’s Rio Grande Two-Strap River Sandal. Synthetic upper with athletic inspired mesh lining for enhanced breathability. Hook-and-loop closure for a secure and comfortable fit. Smartscent footbed technology equipped with a molded memory foam footbed for all day comfort.